Conducting business can sometimes mean the need to travel. Many expenses when traveling for business can be reimbursed if the individual keeps a detailed log of what the money was spent on and for. Carrying around a huge log book can be awkward. Using a business travel expense log template makes recording the data easier, and does not require bulky books and ledgers. Once the individual knows that they will be traveling for the business, they will need to access the business travel expense log template. A simple download will allow for access to the many fields on the template. One can choose to leave the template in its electronic format, or they may choose to print out a copy of the template to fill in manually. There are a number of fields that will make its use quick and easy. Among these fields are meals, lodging and gasoline expenses. 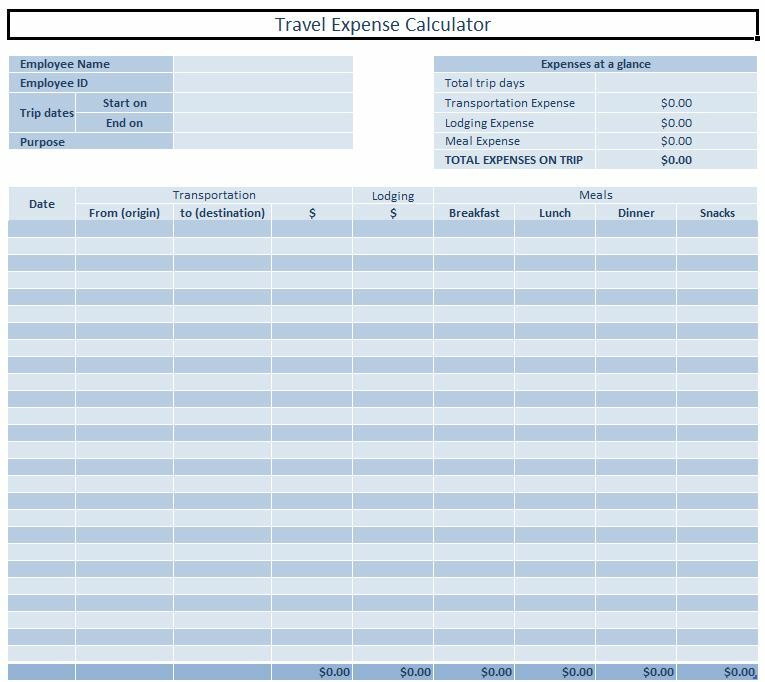 This business travel expense log template makes it quick and simple to evaluate travel costs. It can aid in cutting financial expense corners, as well as evaluate how personal expenses on the road can be better managed and streamlined. The business travel expense log template saves the company money by being a free template that anyone can access. It also saves in manpower hours through making the heavy travel log a thing of the past and making the expense log a one page simple form. In terms of time savings, the employee will not need to thumb through pages and pages of a log in order to record their expenses. While receipts are still strongly suggested, the travel log template allows the individual to keep their travel records either on paper in a briefcase, or on their laptop. The templates is also easy to find, quick to download, and easier to remit through electronic formats. Business travel can be tedious, but keeping records of expenses during business trips does not have to be. This quick, easy, free business travel expense log template takes the hassle out of recording expenses, and keeping track of them. The log templates pages can easily be inserted into standard accounting log books, or even be kept in separate binders for ease of reference. These templates are a valuable resource in saving both time and money for every business.